After three years on the shores of Gili Island, Indonesia’s Air Festival is hopping over to Bali for its fourth instalment. 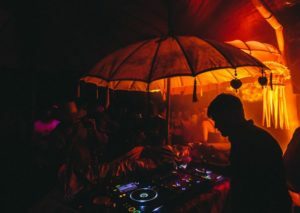 The new festival location will now sit on Echo Beach, Canggu, offering up a fresh slice of paradise for attendees hitting the festival for a dose of hedonistic house and techno excursions. With a line-up featuring the likes of Fred P, Rampa, Bas Ibellini and Talismann under his Makam alias, Air Festival is set to merge local art and performance with three days of electronic music excitement.